Every day we lose a number of hairs. On an average, we lose 100 hairs everyday from our scalp. Lost hair is replaced with newly grown hair but sometimes it doesn’t happen. It leads to regular hair fall and a problem of thinning of hairs or baldness. The problem of hair fall is not that much normal as we take it. Thinning of hair and balding are the common problems faced by both men and women. From early ages, we see this problem affecting people. About 70% of men face this problem and in the case of women, this figure is about 30%. Hair loss can be seen as occurring abruptly or it can gradually develop as one age. It can be temporary or permanent. Persistent hair loss can be a sign of a serious health issue. The causes of hair fall differ as gender changes. But it affects both the genders in the same way. Women generally take it too seriously and start feeling embarrassed and try to regain hairs using different methods which again just contribute to the hair fall. To be able to find the correct solution to the problem a person first has to find out the reason for the falling hairs. Some reasons are common in both men and women. Here are the reasons. Hair loss in men is quite common. About a quarter of men starts going bald as they enter their thirty and about two-thirds are either bald or they start going bald by sixty. There can be many reasons as genetics, stress, nutritional deficiency and it can be due to the side effects of drugs or many other reasons. Genetics – Almost ninety-five percent of hair loss in men is due to male pattern baldness. Men undergoing the male pattern baldness experience a receding hairline and find their hair thinning around the crown, eventually culminating into a bald spot. This is genetically heridated from either the parents be it, mother or father. Telogen effluvium – The resting stage of the hair growth cycle is known as telogen. Telogen effluvium occurs when the shock in the system causes hair roots to go in a resting state. Alopecia areata – A person starts finding round patches of the exposed scalp which can be a size of a coin roughly, even when he is in normal health. This type of hair loss is cyclical. Hairs can grow back or they can fall back again. Cicatricial Alopecia – The cause of this disorder is unknown but the person facing this can feel itching or pain in the area of the scalp and permanent hair loss in that area. Almost forty percent of those affected by hair loss and baldness are women. Hair loss affects women much more than men as they start feeling embarrassed and gets low in self-esteem. There are multiple causes which affect women. Stress- hair fall is also triggered due to stress which is quite common in a today generation. Women can face stress due to many factors such as childbirth, disease, surgery, malnutrition. marital status can also lead to stress. Some research has shown that women who have faced their husband’s death or any other serious problem in their life tend to have more hair loss than unmarried women. Androgen index-hormonal injections and progestin implants can cause serious hair fall in women. Women are suggested to use non-hormonal birth control who have a history of hair loss in the family. Hairstyles – some hairstyles which pull hair too tightly also lead to hair loss such as braids. In addition, chemicals used to process hairs also lead to hair loss. While all the factors which lead to hair loss cannot be treated some are under our control. Genuinely genetics cannot be controlled if hair loss runs in the family but nutrition and untreated medical conditions can be taken care of. Avoid hair loss with good nutrition-you can always take care of your diet to see if you take a properly balanced diet. Proteins should be taken in adequate amount. Vegetarians should take care that they take proper protein-rich food. A large number of fruits and vegetables and a full diet based on your height, weight, and age. Bring health conditions under control – try to keep your mind stress free. Learn stress management techniques. Proper and timely treatment of diseases should be taken and maintain good control over diseases which can lead to hair loss and thinning of hair. Also, take care of infections such as fungal infections. 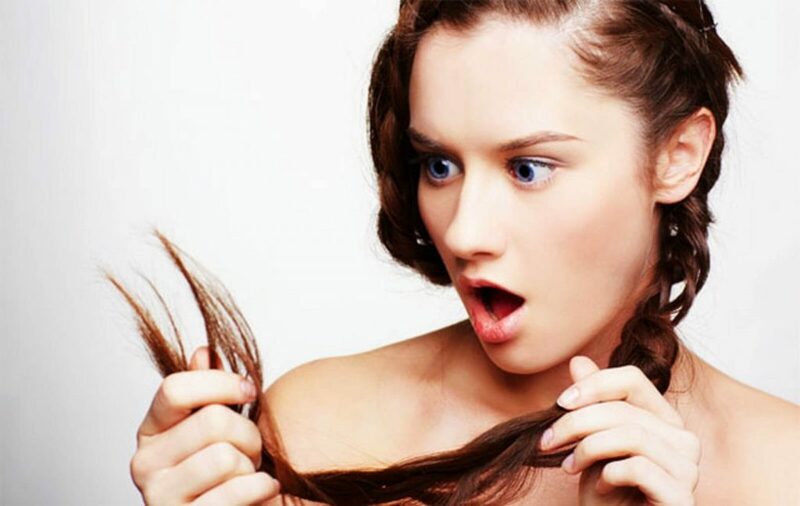 Take care of your hair- hair loss can be caused due to your own bad habits. Frequent shampooing, using hot styling tools, harsh brushing, using different products can lead to hair loss. So try to be gentle with your hairs. Don’t use very hot water to wash your hairs. Wash your hairs two times a week. Frequent shampooing can also lead to hair loss. Try to avoid the hairstyles which pull your hair like very tight ponytails and buns. It is an ayurvedic formula which is made without any side effects. It is a unique mix of ayurvedic formula prepared in sesame oil using21 selected herbs. Its holistic approach and natural methods have been tested and proved for maximum results. It prevents premature greying, hair fall, split hair and checks loss of hair, headache and sleeplessness. Amla is known to be a power fruit for your hair. Dabur Amla hair oils penetrate well into your scalp, nourishes your scalp & hair with the power of.. It makes your hair strong from the roots. It stimulates hair growth and makes your hair strong and long. This oil gives the hair shine and makes them look voluminous. It is the product of the Himalaya drug company and is an ayurvedic formula. It contains natural ingredients such as extracts of thistle, Indian gooseberry, fenugreek, neem, and bael. It is also enriched with the goodness of bhringaraja and Amalaki. It is not sticky oil that strengthens hair roots and prevents hair fall. It keeps the scalp healthy by moisturizing the scalp and not making it look dry. Bajaj Almond drops non-sticky hair oil is a leading hair oil in the light hair oil segment. This premium hair oil is enriched with Sweet Almond oil. Almond oil is one of the Richest sources of vitamin e.
It nourishes and strengthens your hair and is optimal for treating damaged hair and hair loss. It’s few drops nourishes the scalp and makes the hair look shiny. It is a non-sticky oil which doesn’t make your hairs look heavy. Awareness of these causes only can help reduce the problem to a certain level. Instead of this using proper hair products and taking care of the hairs along with the ignorance of all the myths related to hairs will definitely help in reducing hair loss.